Hi everyone. My name’s Kelly Handerhan, and I’m with CyberTrain.IT. You may be familiar with me for some of the work that I’ve done with Cybrary or perhaps other training institutions, but I’d like to welcome you to a little venture that I’ve started myself, called CyberTrain.IT. We have the focus on providing custom and quality training for those of you that are looking to get certified in the various realms of information technology and information security. We’re going to be focusing on the following classes. Of course, I have started with the CISSP certification exam. 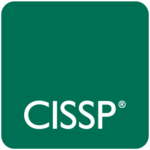 I’ve been teaching CISSP for a large number of years, 10 years at least, and have a terrific pass rate for my students. Hopefully, you can go out and google or go to Reddit and check out some of the success stories that you’ll hear there. In addition to CISSP, I’m also PMP certified and will focus on the new the certification exam that comes out March 26th, which is based off of the Project Management Body of Knowledge, Version Six. We’re going to get you up and running for that new certification. I also teach CISM, and that’s becoming more and more popular as we start to shift our focus more from being a technical person, into more of a managerial field. We also offer the CCSP, Cloud certification from (ISC)2, which rapidly is gaining momentum, as more and more organizations do shift to the Cloud. CRISC, certified in information systems computing, what we’re looking for there is someone that understands information security in the world of risk management. The phrases, enterprise risk management, ERM or ISRM, information security and risk management, you’re going to continue to hear those terms grow, because we have to understand, there’s a totally new way of looking at security, as opposed to looking at business risks and IT risks, we have to understand that IT risks are business risks and look at how we can find a comprehensive enterprise wide solution in addressing those risks. 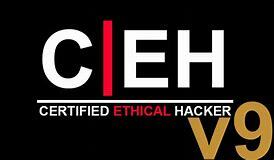 Last but not least, of course we can’t leave off EC-Council Certified Ethical Hacker Exam. I am a certified ethical hacker and we have course material complete with labs that are, again, very much designed to provide you both real world as well as help you to get ready for the test. We have a wide offering of classes. I’m really excited to be bringing those to you. Primarily, these classes will come to you in one of two ways, either recorded video classes or you can participate in our live online courses where you’ll have full access to the instructor, that’s me. You’ll have access to interact with your peers as we’re going through the course material. You’ll have your own set of custom course ware, as well as industry approved course ware. So, we’re going to provide you with everything that you need to be successful on these exams. Let’s go out and get you certified. Please, feel free to go to our Facebook page and give us a like, or www.cybertrain.it, to learn a little bit more about these classes that we do offer. I wish you the best of luck in your certification journey, and I hope that we can meet in the future in a course or a class somewhere along the way.